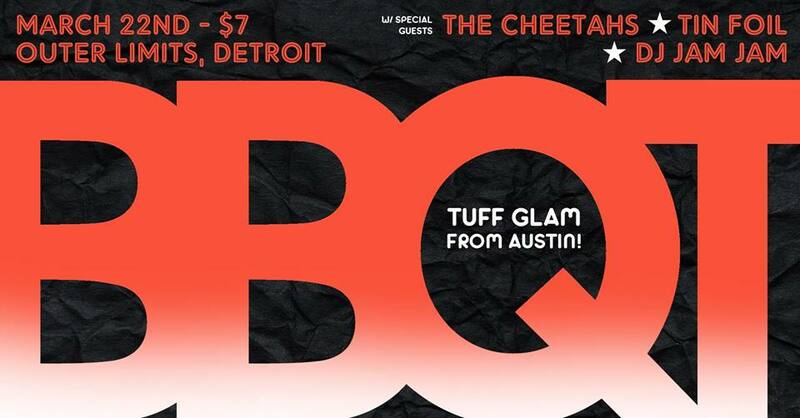 Friday, March 22nd: BBQT and The Cheetahs @ Outer Limits Lounge: This is the first time that these "wild, boot stompin' glam rockers from Austin" are playing in Detroit and they will be joined by Detroit's own rockers, The Cheetahs! Also joining in on the party are Tin Foil and DJ Jam Jam. 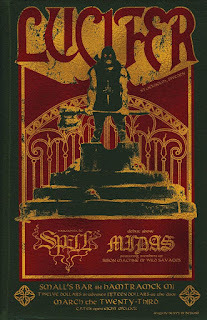 Cover is only $7 and doors open at 7 p.m.
Saturday, March 23rd: Lucifer @ Small's w/ Spell and Midas: Saturday night, Small's will welcome multinational heavy rock band Lucifer to their stage along with their tour mates Spell. 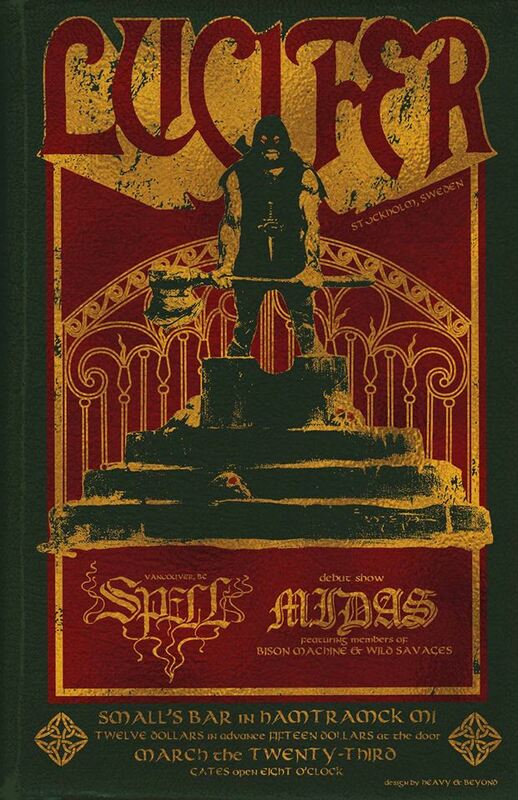 Although that is already a great reason to head to this show, this show will also feature the debut of Midas, featuring members of Bison Machine and Wild Savages. Doors open at 8 p.m. Get there early and stay late. Cover is $15 at the door and 18+ are welcome. 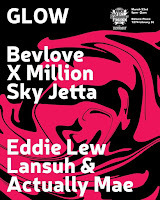 Saturday, March 23rd: GLOW w/ Bevlove & Friends @ Deluxx Fluxx: Let loose and get down with Bevlove, X Million, Lansuh + Actually Mae, Sky Jetta and Eddie Leww Saturday night at Deluxx Fluxx. 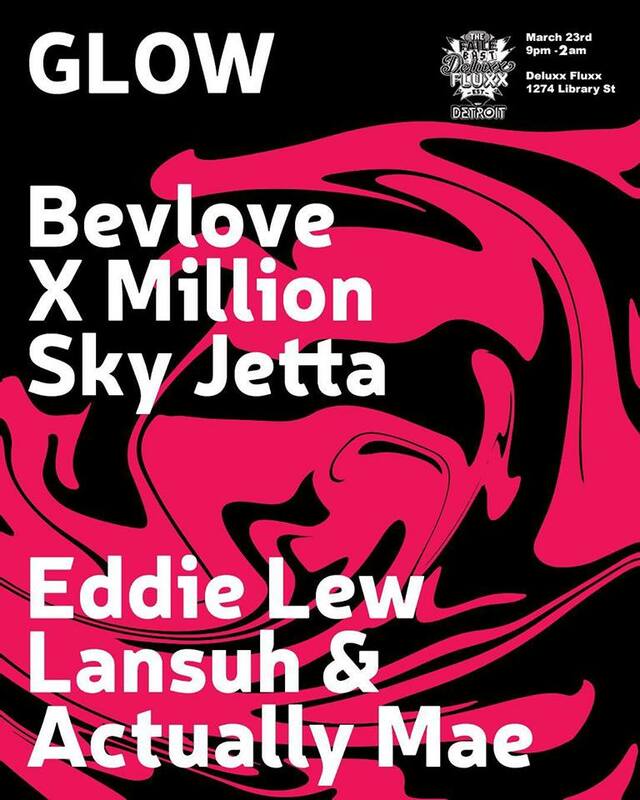 According to Bevlove, every time GLOW happens "it's a movie". This is a party that you don't want to miss! Doors open at 9 p.m. and cover is $5 after 10. The party goes all night until 2 a.m.! 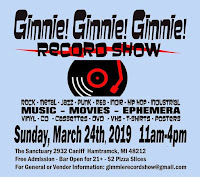 Sunday, March 24th: Gimmie Gimmie Gimmie Record Show #3 @ The Sanctuary - This is by far one of the best record shows around. The show is hosted by the creators of the Facebook group by the same name. Believe us when we say there will be some awesome vinyl up for grabs at this one! There will also be plenty of booths with movies, shirts, tapes, memorabilia, and even comics. 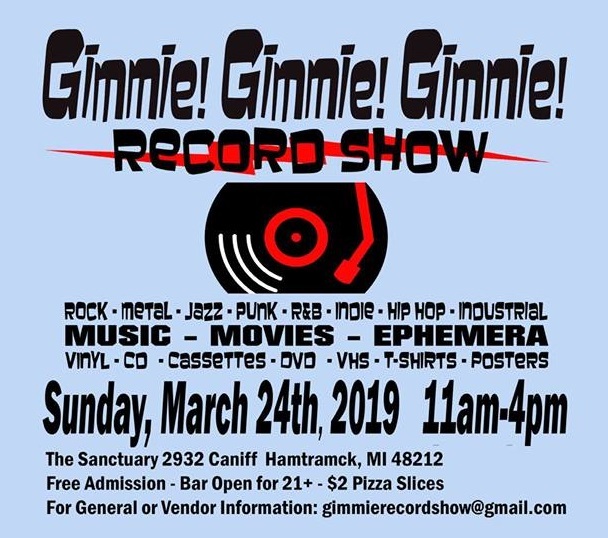 Admission is free, but bring cash for records, drinks, and $2 slices from the bar. 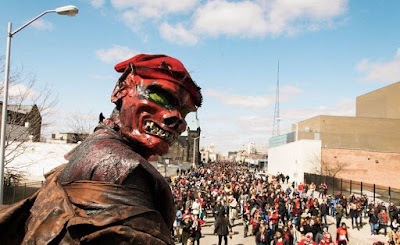 The show runs from 11 a.m. 'til 4 p.m.
Sunday, March 24th: 10th Annual Marche du Nain Rouge: It's time to run that little red devil out of town again! In 1702, Antoine de la Mothe Cadillac, the French founder of Detroit, claimed he was having dreams of a little red devil. He went to see a fortune teller and was told that devil that he dreamt of was the Nain Rouge, also known as the harbinger of doom. The fortune teller told Antoine that if he choose to settle in the straits between Michigan and Ontario he might turn a profit, but it would be a long uphill battle fraught with setbacks. Eventually, Cadillac saw the little red devil in person and instead of running or cowering in fear he chose to confront him. He chased the Nain Rouge away with a stick. His fatal mistake was to let the Nain see his face. The Nain continued to taunt him nonstop after he settled in those plains; he eventually had to return to France penniless. Now, people have learned from his mistakes and wear masks and gather to run that devil out of town! The March kicks off at Second and Canfield, by Traffic Jam & Snug. Then the group will parade down to The Masonic Temple at 1 p.m. After, there are parties all over the city, with the best of them all at The Old Miami with Nothing Elegant. Get all of the details on Marche du Nain Rouge and the after parties here.